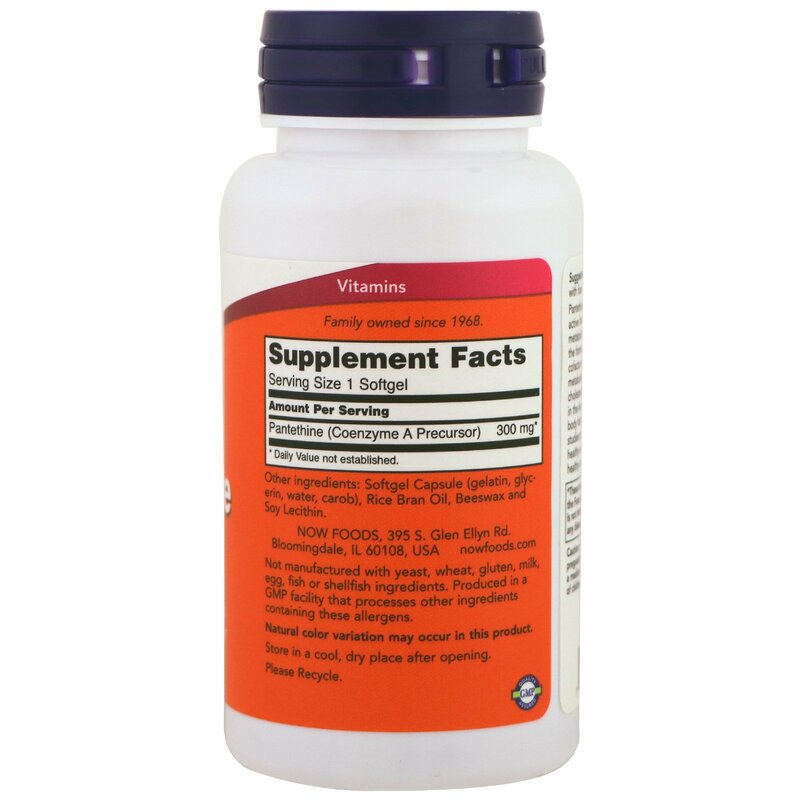 Pantethine is a highly absorbable and biologically active form of Pantothenic Acid (Vitamin B-5). The metabolic activity of Pantethine is due to its role in the formation of CoEnzyme A (CoA), an essential cofactor for lipid, carbohydrate, and protein metabolism. 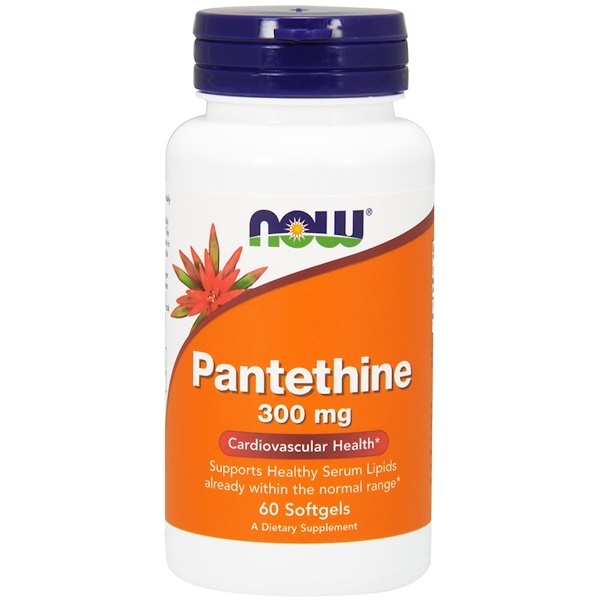 Pantethine helps to support proper cholesterol production and fat storage processes in the liver, which can help to promote healthy body fat distribution. It has been shown in clinical studies to assist in the maintenance of already healthy serum lipid levels for the support of a healthy cardiovascular system. 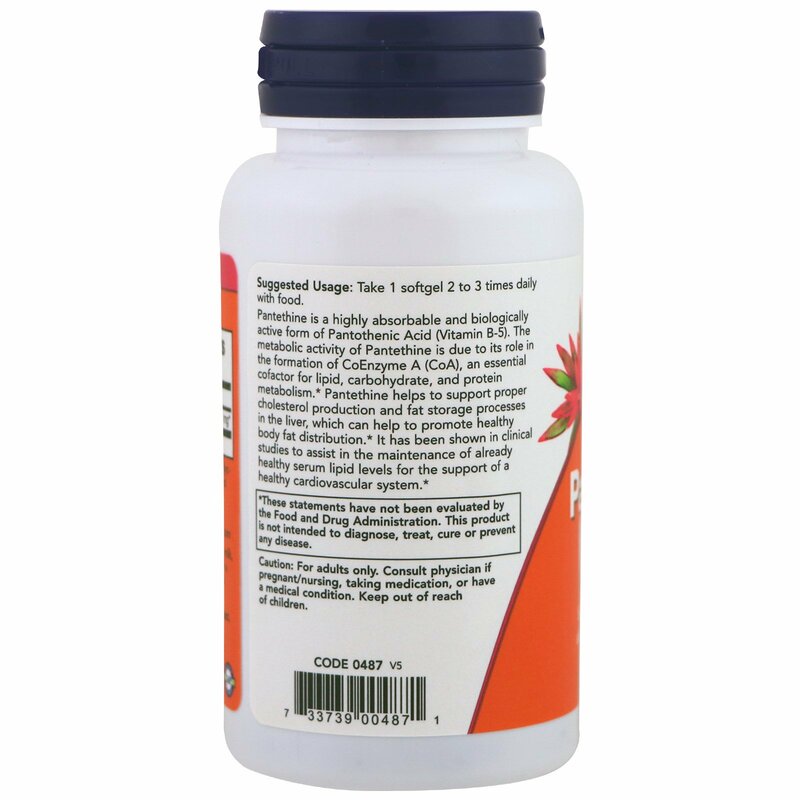 Take 1 softgel 2 to 3 times daily with food. Softgel capsule (gelatin, glycerin, water, carob), rice bran oil, beeswax and soy lecithin. Caution: For adults only. Consult physician if pregnant/nursing, taking medications, or have a medical condition. Keep out of reach of children.